OpenOffice.org has released their third beta version this week and hopefully, they will release the final version next week (well, it will be a week delay though, but i think it's worthed rather than delivering a buggy application which will be used by many people around the world). We all know that Gaim is the most well known IM client on GNU/Linux platform. It's simple and working on most platform (Windows and GNU/Linux). It can be used as an alternative for YM for Linux which is not developped again. The current version is 1.5.0 and the latest development version is 2.0.0beta1. The road to 2.0.0 final is a long way and therefore, Sean Egan made a Planet Gaim to aggregate all of Gaim's developer to talk about Gaim's status right now. When Mandriva Linux 2007 is released, i think my account will be extended again (i hope). The key innovation of Mandriva Linux 2007 is the spectacular AIGLX and Xgl 3D-accelerated desktop. Mandriva is the only distribution to provide both technologies, making it compatible with the widest range of hardware; a special tool features auto-detection of the best 3D solution for your hardware. Mandriva is particularly happy to have achieved this major breakthrough in desktop appearance. Update #2: When i browsed Mandriva Linux 2007 Page, it says that it will be released in a couple of days, so i think it's not downloadable right now. So, i'm removing my username/password information for now and i'll post it again when it has been officially announced. OpenOffice.org will have an Firefox's extension-like on their next release, 2.0.4 which is in RC2 version now. The current OpenOffice software can accept some extensions (using UNO and ZIP format), but the upcoming 2.0.4 version will have new extension format, OXT. That format can accommodate extensions written in a variety of programming languages, so you can also build your own extensions if you like and send it to OOo to be included or being put on the repository. Open-source extensions will be housed at a central site, extensions.openoffice.org. People will be able to download the software there. However, because OpenOffice is governed by the Lesser General Public License (LGPL), it's permissible to link proprietary extensions as well. You might want to read Charles Schultz's blog post also to know more about this. By the way, there's a feature being requested by Indonesian people in OOo which asked for backup/restore autocorrect in OOo (Bug ID #69491). I think it will be helpfull if this feature will be implemented in 2.0.4, but i kindda doubt it, since it is in RC2 and new features are freezed and perhaps it will deployed in 2.0.5. 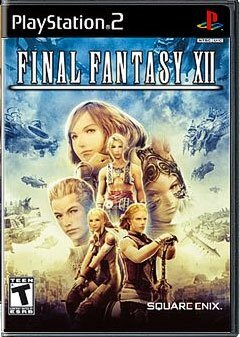 The next sequel of the popular RPG game from Square Enix, Final Fantasy XII has been developed and scheduled to be released on 31 of October 2006 (in North America of course, since it has been released in Japan. Thanks to Oskar for the correction). You can look at the trailer on their official site. It's an amazing movie trailer and i'm very impressed by this trailer. You will have a smoother video and supported by stunning visual effects. * Fixed quick find field in Windows panel. * Fixed high CPU usage while downloading big emails. * Properties can now be accessed within the contacts and bookmarks panel after deleting items. * Image attachments can now be saved using the context menu. * Accessing a news link when no news server is configured will now prompt to configure a server. * Fixed a DOMParser bug affecting some menu scripts. * Click events are now correctly received in designMode. * Implemented support for Node.selectNodes, Node.selectSingleNode, and Attr.text. * Improved rendering efficiency for repositioned elements, as in Flickr's updated "organizr". * Allow large integers to be used in object declaration property names, as on the comments form on Slashdot beta. * Fix for playing sound clips on Amazon. * Fixed an OpenSSL RSA signature verification flaw. See the advisory. * Multiple stability improvements, including a stability issue on my.yahoo.com. * Improved handling of downloads when the disk is full. * Improved handling of Web site logins on slow connections. * Improved handling of WAP text inputs. * Fix to allow opera to be set as default browser using the prompt at startup. * Fix for attaching read-only files in mail. * Support for the Windows XP Media Center Edition remote control. * Added new settings in the Java section of opera:config to allow you to override the system defined JRE. Today i browsed LinuxQuestions forum and i found a link to a slackware community based wiki site which provide tutorials and also other information about Slackware. Nice site. If you do need information about Slackware, please consider this site as one of your primary reference beside SlackBook and LinuxQuestions. Last night, i also upgraded my kernel into 2.6.18. It has lots of new features and also drivers, so i had to fill some questions first before i made the compilation. Again, i had my friend list dissappear on my Yahoo Messenger application. I didn't realize when was the exact time, but this morning i noticed that had 0/0 in my friends list. When i tried to use my own laptop, it's fine, so i guess the problem lies on the Yahoo Messenger on my office laptop. Maybe an upgrade will fix this. This is not the first time Yahoo Messenger doesn't display all of my friends list. Well, at least my friend can still see me online and we can share and discuss things online via Yahoo Messenger. Today, most of area near my office has power failure and it lasted for about 8 hours (it's reported to be available around 8 PM at the evening). It's an unplanned power failure and it effect most of Jakarta area (but some of them were turned on again in few hours, mostly because they are business buildings which is important. I hope the PLN won't do that again in the future, as it will make most of work plan are screwed up. Yesterday, i was asked by one of my new friend about problem that he had on his company that has relation with OpenOffice.org. He said that the spellchecker features were not working on his XP and Ubuntu computers. I test the document that he sent to me and he was right. It didn't notice the errors (features was typed fetures and the spellcheckers ignored it), but when i tried to make a new document and activate the spellcheckers at the beginning, it would recognize the errors. I was thinking that it might have problems when we didn't start the auto spellcheckers features from the start, so i send a bug report to the OOo and today i have got the answers. The problem lies on the language settings for the document itself. It uses English (Australia) for the language and by default, only English (USA) and English (UK) dictionary that was given by the OOo team, so it wouldn't recognize the errors. When i changed the language into English (USA), it will work perfectly. The conclusion is if you have such kind of problems, please look at your language settings first. If you don't have the language dictionary, you can download them from OpenOffice.org's website. Documentation project of OpenOffice.org has held a new template/clipart contest. The purpose of this contest is to enhance the cliparts/templates collections within OpenOffice.org package. Winners will get a total of US$5000 (divided per category) provided by the sponsor, worldlabel.com. When your templates are accepted, they will publicly available from OpenOffice.org's template repository. The competition will run from September 13, 2006 to October 13, 2006 at 23h59EDT (GMT-4). Submissions received later than 23h59EDT (GMT-4) on October 13, 2006 will not be eligible. Awards and prizes will be announced on November 1, 2006. Today will be the last day of five days training as it will be the execution phase, where in the last four days, we have been educated for project awareness, project tracking, project estimation, and also making the project plan. We do have the project plan and all of the schedule of the mini project that has been developed for this purpose. The target was 30 solutions of Brick by Brick, 30 solutions of Square by Square, 12 solutions of Cubes to Holder, 12 solutions of Cubes to Cubes, 10 solutions of 50 pieces puzzle, 1 solution of 100 pieces puzzle, 1 solution of 200 pieces puzzle and 1 solution of 300 pieces puzzle. The time was set for two hours and it will begin in 10 AM this morning. No No No... i'm not a hijacker that you might think of. We are not actually hijacking the busway, but the road that busway used to have for their private road. Today, we went from our office to U-Smart office and it was a heavy loaded traffic jam, so when there's a chance to move to busway's road which is definitely faster, our driver took the chance (as there're more than 5 cars that did the same way) and we were driving away as the other cars stopped because of the traffic jam. Photos of her can be seen in my Friendster account. Next week (starting tommorrow), i will have a project training and workshop once again. This time, it will be a Planning and Tracking Awareness Workshop and Estimation Awareness Workshop. This workshop was already held last year to all of the employees in QnAp Asia, and except for me, and all the employees from UKDW (i only had a chance to get the last day and it was fun). Now is the time to start the workshop again to improve our skills of planning, estimating, and tracking a project. New -stable kernel for GNU/Linux has been introduced, 2.6.17.12. It's been some time since the last release and no wonder if it contains quite a lot of updates in this release. You can view the ChangeLogs if you would like to see what changes has been made in this release. Most of the changes are taken from the main tree which is on -RC6 right now and will be included in the next -main kernel version, 2.6.18. Too bad most of them are not related to my own system, so perhaps i will skip this version and wait for the next release or even jump to 2.6.18 if it has comes out. Having Spam in Your Inbox?? Do you have spams in your inbox? Maybe the answer will definitely YES. Most of our inbox has been filled with spams from all around the world. They can be in plain text or an image (more advanced techniques to bypass the spam filter). How do we solve this? Well, if you use Postfix, then you might try to use this solutions from HowToForge. It will guide you to configure a default Postfix installation and add Spam Assasin with a range of RBL (Realtime Blacklists) and RHBL (Same but different), Greylistings and Helo Checks. GNOME fans around the world will be very happy this week, as GNOME has released another minor updates to their product, GNOME 2.16. Although GNOME 2.16 is a minor update, it adds some highly desirable functionality and touts much-needed aesthetic improvements in addition to a veritable mountain of bug fixes. You can read the detailed article in ArsTechnica. It is quite detailed and will give you a brief about what's new in the next GNOME, even though you will get the most detailed by looking at the RELEASE NOTES. Well, i'm not a big fan of GNOME, and i rarely (or never) used GNOME (only onced exactly when i first installed Slackware 10.1 which shipped GNOME. I tried to look what GNOME looks like, but then i prefer KDE and it still true up to now). GNOME has been removed also in Slackware 10.2 and also in the next 11.0 release, but Slackware users can use other alternatives, such as FreeRock GNOME or Dropline GNOME. The next RC (Release Candidate) of the next Kernel release, 2.6.18 have been released by Linus. The changelog is rather smaller than the previous release. Maybe Andrew Morton and Linus wants to make it more stable by rejecting unstable code for this release and will think about it in the next release. I don't think 2.6.18 will be included in Slackware 11.0 as it will need some acceptance test by Pat to be included in /testing (not in /extra as 2.6.17.11 has been proven stable for now). Maybe in the next two weeks, we will be able to see the shinny 2.6.18 if this should be the last RC version. I made a new blog few days ago using Blogger Beta and i called this SlackBlogs, which will be a place where i put everything related to Slackware. It could be the latest Slackware changes, or even my Slackware changes. It's still new, so you won't find many post over there, but i tried to update that blog regularly like this blog. This blog can also be used to write some tutorials related to Slackware or GNU/Linux in most cases and people can have a look on it. The design was made as simple as possible, just like Slackware which adopts simplicity approach. I didn't change the design at all. I just use the template given by Blogger Beta and it was fine for me. I have put a technoratti links and also feed burner over there also. There will be another party when Firefox 2.0 launched in 6 of September 2006. If you are interested, please visit Firefox 2.0 Launch Party Organizer. Up to now, there has been 19 people who will join the party. Are you the next person? Finally, the next RC has been out after few days without any updates to the -current. Most of the updates were due to updated kernel and MySQL packages which has an unintentionally ABI changes, so most of the packages had to be recompiled. Here goes Slackware 11.0 RC4. Can't wait to see the final version of Slackware 11.0 released. * Visual Refresh: Firefox 2's theme and user interface have been updated to improve usability without altering the familiarity of the browsing experience. For instance, toolbar buttons now glow when you hover over them. We will continue to improve the look and feel throughout the release candidate process. * Built-in phishing protection: Phishing Protection warns users when they encounter suspected Web forgeries, and offers to return the user to their home page. Phishing Protection is turned on by default, and works by checking sites against either a local or online list of known phishing sites. This list is automatically downloaded and regularly updated when the Phishing Protection feature is enabled. Please note that at this time we are using a limited list to test the core Phishing Protection framework within the browser. Users are encouraged to wait until a future release of Firefox 2 to verify the accuracy of the list of Web forgeries. * Inline spell checking: A new built-in spell checker enables users to quickly check the spelling of text entered into Web forms (like this one) without having to use a seperate application. If you want to see their new look, you can try to install it or just browse here. It does looks better now and getting slicker than before, but we won't get the final release for now. There will be another beta version after they got a lot of feedbacks on the new features that has been implemented in this version, mostly for the phising protection. We'll just see if this new product will be more sensational than their first 1.0 release. Do you need a full collection of OpenOffice.org packages, such as documentation, clip arts, templates, fonts, and etc? If yes, then you might want to look at OpenOffice.org Premium project. It provides an addon to the original OpenOffice.org packages, including templates, cliparts, samples and fonts. It's developer come from Hungarian's Native Lang project. Thanks to them, people will only need to download the packages once and it will include all of them. Please bare in mind that the word premium doesn't mean it's commercial. Its still free as usuall. So what do you waiting for? Grab them and use it.